Backhoes, bulldozers, trucks, cranes, forklifts – these and many other types of heavy equipment do important tasks on a construction site. While proper training and proper attention to safety procedures can go a long way to prevent accidents, serious injuries may result if something goes wrong. If you or someone you love has been injured in a heavy equipment accident on a construction site, your head may be spinning with questions. What happened? Who was at fault? What caused the accident? How could the accident have been prevented? What will we do without the income from construction work? How will we pay our bills? $4,000,000 settlement for client who sustained catastrophic burn injuries in an arc flash explosion while working on an energized electrical panel. $1,550,000 settlement for a client who suffered severe electrical injuries and burns on a construction site when a light pole he was helping to erect encountered a high-voltage power line. $1,500,000 settlement for a motorist who sustained a head injury in a roadway construction accident. $1,120,000 jury verdict for a client who suffered crush injuries when a crane that was being dismantled collapsed on top of him, resulting in severe fractures and permanent injuries. In North Carolina and every other place where construction cranes are use, crane accidents, injuries and deaths occur when crane operators are negligent, and when the equipment was defective or malfunctioning. Sometimes crane accidents can occur because of the lack of training on the part of the crane operator. A skilled Charlotte construction accident attorney can help you recover compensation from the responsible party whether that be the crane manufacturer or dealer, the construction site property owner, or any other party at fault in causing the crane accident. When large pieces of machinery share a jobsite with workers on foot, the potential for tragedy looms large – especially if the contractor or site supervisor does not have an effective safety program in place. A study in the Journal of Safety Research found that many deaths in heavy equipment accidents were suffered by the operator of the equipment or another construction worker on the site. The rest were suffered by visitors, commuters, or passersby who were near the equipment when something went wrong. 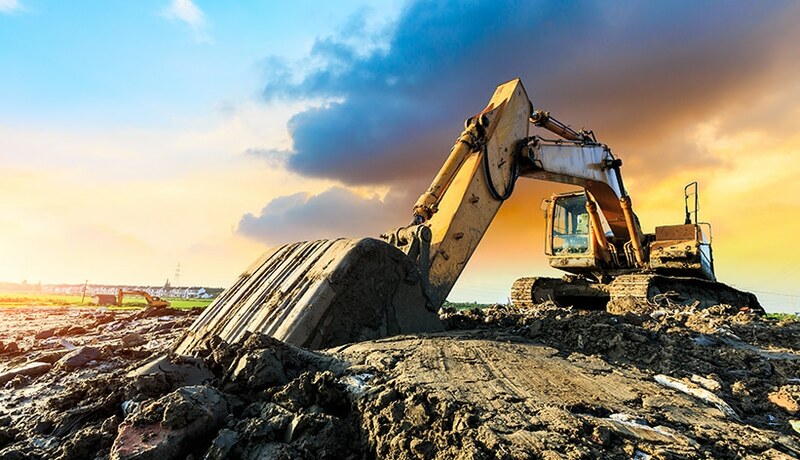 Accidents involving backhoes and large trucks accounted for half of all deaths in construction accidents involving heavy equipment recorded in a study published by the Journal of Safety Research. These included motor vehicle accidents in which construction trucks collided with another vehicle or objects, rolled over, or ran off the road. Rollovers are the most common type of heavy equipment accident, according to the Journal of Safety Research. A rollover may occur when the equipment is operating on uneven ground, when a load is too heavy or is lifted too far from the vehicle’s center of gravity, or when the machine strikes or is struck by another piece of heavy equipment or a vehicle like a truck. The most common cause of death for workers other than the operator of the equipment are accidents in which a worker is hit by heavy equipment. Most often, these accidents occur while a backhoe, truck, forklift, or other piece of heavy equipment is backing up. Special care must be taken both to observe the environment and warn those in the area to move away. Equipment must also be maintained in good working order so that the equipment responds correctly when the operator attempts to stop or steer it. A hidden defect or a neglected maintenance problem in a piece of heavy equipment can spell disaster for the operator and anyone in the immediate area. In many cases, the operator and fellow workers may not even realize that a defect exists until after it has already caused a serious accident. Many workers who work on or near heavy equipment forget to consider the risk of electrocution if the equipment is operating close to live power lines. If any part of the equipment encounters a power line or other electrical source, the entire machine may conduct that electricity straight into the body of anyone touching the machine, including the operator. Objects falling from heavy equipment and operators falling as they attempt to enter or exit the equipment also pose a significant risk. Because heavy equipment may lift large loads high off the ground, and because the controls may be placed several feet from the surface, an accident in which a load falls or an operator falls attempting to reach the controls can cause severe injuries. The most common injuries workers suffer in heavy equipment accidents result from crushing. These include “crush injuries” of the bones and soft tissues, broken bones, and damage to the brain or spinal cord. In some cases, an accident may amputate one or more of a worker’s limbs, or an injury to a limb may be so severe that an amputation is required to save the person’s life. Electrocution injuries and burns also occur in several heavy equipment accidents. If the vehicle experiences an electrical malfunction or encounters a live electrical source, severe electrical injuries can result. Unlike a one-time electric “shock,” electrocution can cause severe damage to any part of the body, including the brain and the heart. It also may cause severe burns, which can be difficult and painful to treat. Surgery, extended time in a burn unit, and permanent pain and scarring often result. Workers who fall while working in or near heavy equipment may also face the risk of a traumatic brain injury or spinal cord injury, along with one or more bone fractures. The effects of a brain injury or spinal cord injury may be permanent or even deadly. After a heavy equipment accident at a construction site, it is essential to get proper medical care for anyone who was injured. It’s also important to inform your supervisor or the foreperson at the site, so that a record can be made of the accident. If possible, gather information, including any accident reports, medical records, and contact information for witnesses. It’s also critical to get help from qualified lawyers like those at Warren & Kallianos. When a piece of heavy equipment is defective, and that defect caused the accident and injury, you may be able to hold the manufacturer accountable for your losses by filing a personal injury lawsuit for product liability. Our North Carolina construction accident attorneys can help you understand your legal rights and options, build a solid case for compensation from all available sources, and fight for you during settlement negotiations or at a hearing or trial. At Warren & Kallianos, our construction accident lawyers take pride in working one-on-one with victims of heavy equipment accidents and their families. Our goal is to secure maximum compensation for our clients’ losses, and we have a long track record of doing just that. Our success has earned us recognition as Super Lawyers, and inclusion among the Best Lawyers in America and the Top 100 Trial Lawyers. Clients put their trust in us knowing that, as members of the Million Dollar Advocates Forum, we will do what is necessary to seek compensation and justice for injured people. Let us start working on your heavy equipment accident case today. Schedule a free consultation about your legal rights and options by calling us or filling out our online form. We’re ready to get started when you are. Charlotte injury attorneys Jeff Warren and Chris Kallianos bring 58 years of combined legal practice in personal injury law to every client we serve. When you have been injured in a construction accident , we are here to fight for fair compensation for your injuries and losses. Call us today or fill out our online inquiry form to get in touch for a free claim review and legal advice. Your communication with our office is always confidential.